A court in Moscow ruled on Wednesday that four Ukrainian sailors seized by Russia last year off the coast of Crimea should be kept in pre-trial detention until April 24, Russian news agencies reported. Russia seized three Ukrainian navy vessels and their combined crew of 24 on Nov. 25 near Russian-annexed Crimea. Moscow accuses them of illegally entering Russian waters, something Kyiv denies. 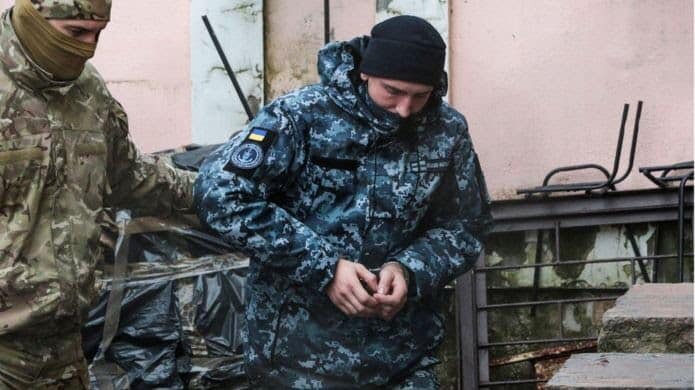 In similar rulings on Tuesday, the court extended the detention of the other 20 Ukrainians until April 24 and, in the case of four of them, until April 26. The United States and European Union have called on Russia to release the men, but the Kremlin has said they must be put on trial. No date has been set for a trial. Moscow could hand over the men as part of a prisoner swap deal with Ukraine later this year, a Russian diplomatic source was quoted as saying last week by the pro-Kremlin Izvestia newspaper.